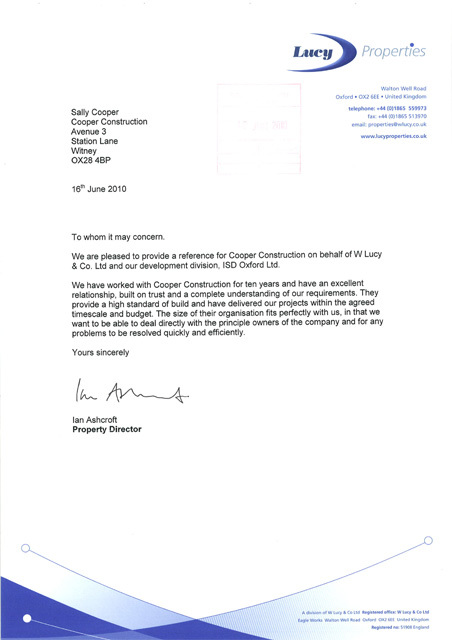 We are pleased to provide a reference for Cooper Construction on behalf of W Lucy & Co Ltd and our development division, ISD Oxford Ltd.
We have worked with Cooper Construction for ten years and have an excellent relationship, built on trust and a complete understanding of our requirements. 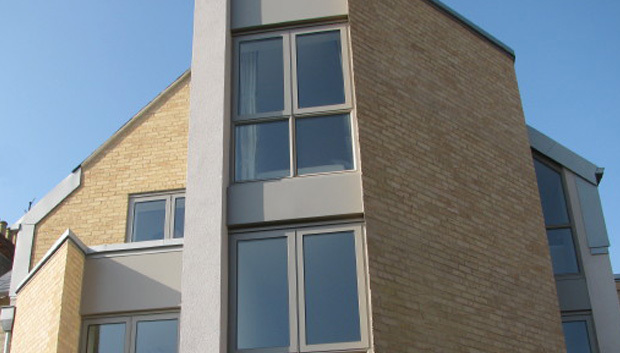 They provide a high standard of build and have delivered our projects within the agreed timescale and budget. The size of their organsation fits perfectly with us, in that we want to be able to deal directly with the principle owners of the company and for any problems to be resolved quickly and efficiently.